Starring Thomas Jane, Molly Parker, Dylan Schmid, Kaitlyn Bernard, Brian D’Arcy James, and Neal McDonough. 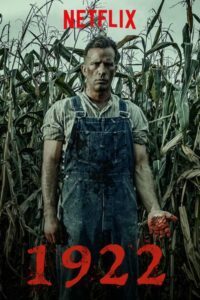 A Nebraskan Farmer, Wilfred James, convinces his son, Henry, that the only way to preserve their way of life is by murdering his bitter wife, Arlette. However, once the two have committed their crime, they are haunted by guilt and plagued by visions of their victim. 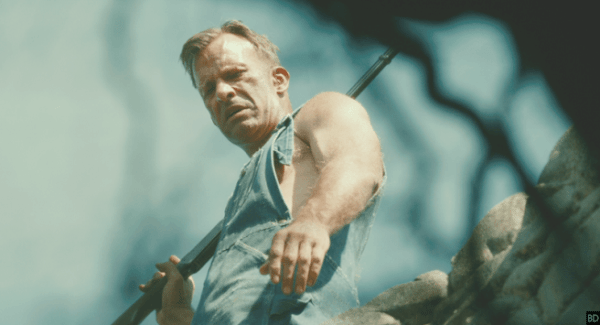 Following hot on the heels of last month’s Gerald’s Game, 1922 is the latest Stephen King work to be adapted for the big screen by streaming giants Netflix. King adaptations are all the rage at the moment, with this being the fourth King movie to hit our screens since August. 1922 is one of King’s lesser-known works and that is perhaps because it is one of his most recent. The novella, released in 2010 as part of the collection ‘Full Dark, No Stars’ is a slightly more updated take on Edgar Allan Poe’s iconic ‘The Tell-Tale Heart‘, the story of a man trying to convince his reader of his sanity, while he is haunted by a murder he committed. 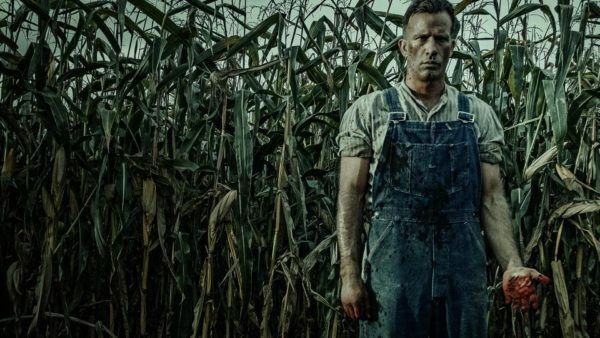 Thomas Jane, giving us his best movie performance in quite some time here, plays Wilfred James, a Nebraskan farmer who spends his days working in the fields. His wife, Arlette, is not happy with their current set-up and she isn’t afraid to let him know about it, while his son, Henry, has fallen in love with a local farm girl and like his father, is desperate to stay at the farm rather than moving to the city with his mother. This leads, for various reasons, to Wilfred convincing his son to help him kill Arlette, so that can both be free of her wicked ways. This isn’t a spoiler, don’t worry – the opening scene of the movie pretty much establishes this – with a guilt-ridden Wilfred writing his confessional in a hotel room, once again harping back to that Edgar Allan Poe classic. The set-up is great, and the film’s opening twenty minutes, especially thanks to a scene-stealing performance from Molly Parker as Arlette do a great job of drawing the audience into the movie. 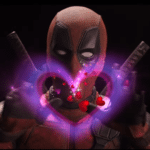 The problem, however, is the movie’s pacing. While those opening twenty minutes are a brilliant depiction of the family’s life, once the film’s central act – the murder of Arlette – has taken place, it loses steam pretty quickly. The following 80 minutes are basically a meditation on one man’s guilt and while Thomas Jane does an excellent job of portraying his character’s difficulties, the film’s central theme, which is essentially ‘don’t kill people’ is not interesting enough to hold up over a 100-minute runtime. 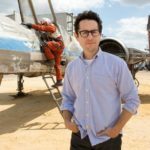 Had the film been able to trim 20 minutes from its time, then it may have been much more enjoyable, but in its current state, it just becomes incredibly repetitive, incredibly quick. There’s a big difference between slow building a sense of dread that will haunt your audience, and boring them into submission by over-dwelling on something, this, sadly, falls into the latter category. It’s a shame that this is the case because the rest of the movie has a lot going for it. The period setting is beautifully established, the source material is good, and the actors are all on the top of their games here. Jane and Parker, in particular, are superbly cast and young Dylan Schmid, as the son corrupted by his father, is a good young talent who is perhaps not utilised as well as he should be. It’s just a shame that the movie’s story is not strong enough to hold up over the runtime. 1922 should have been a success. 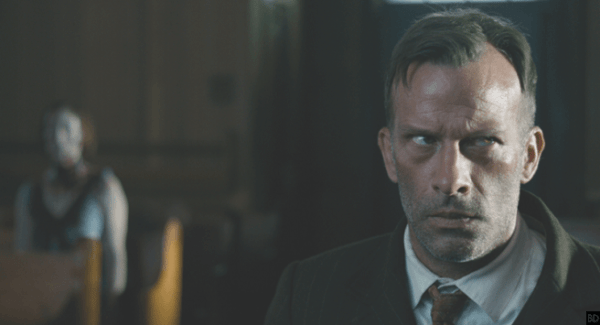 It’s based on a solid King novella and it has a cast who are nothing if not committed to their roles, sadly, while aiming for a slow-burning tale of dread, director Zak Hilditch has just delivered a rather unenjoyable endurance test.